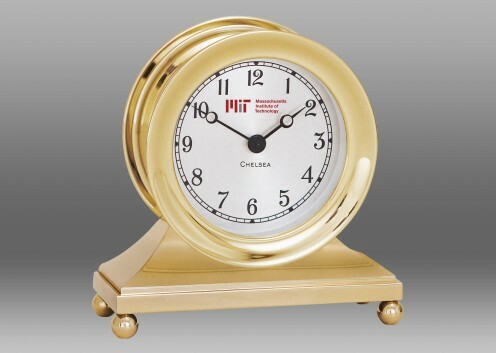 Classic design and precision engineering make this timepiece an exceptional addition to any décor. Crafted in brass, the Embassy features beautiful contrasting matte and bright finishes, a brilliant white dial emblazoned with the MIT insignia and rich black Roman numerals, and a handsome stepped base. 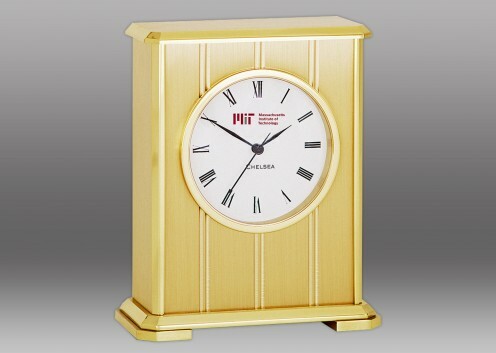 The Embassy clock keeps perfect time with a German quartz movement, which is easily accessible through the hinged back door.